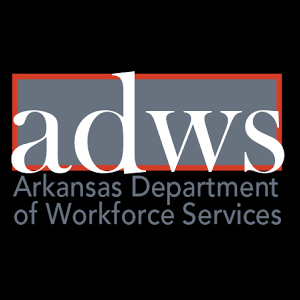 Express Employment Professionals Conway AR is looking for a medical billing specialist to work in a medical office in Conway, AR. Pay will depend on experience. Generates Revenue by collecting on patient accounts and insurance claim follow up. Take incoming calls from patients regarding payment arrangements, billing questions, etc. Take incoming billing calls from Insurance companies, agents, third parties, etc. Collects on delinquent patient responsibility accounts by establishing payment arrangements with patients; monitoring payments; following up with patients when payment lapses occur. Follow up on open Insurance claims for Private, Government, Commercial, and Worker's Compensation Insurance accounts. Working claims denials and rejections, making proper corrections, refiling with requested proper documentation and filing appeals when and if necessary. Working with Clinical front office staff when discrepancies are found in patient demographic data to ensure correct billing. Posting Insurance and Patient payments daily. Requires knowledge of medical billing and/or medical collection practices. Must have the interpersonal skills to deal effectively, cordially and compassionately with a diverse group of patients, physicians, other staff personnel as well as outside hospitals, agencies, and the public. Must have an understanding of medical terminology. Outgoing personality and the ability to deal effectively with verbally offensive and/or distressed patients and their families, resolving conflict in a professional and respectful manner. Ability to learn how to accurately identify the correct insurance payor out of the constantly changing insurance products, each with potentially multiple and differing contracts which applies to the patient being registered. Knowledge of Legal Compliance such as HIPPA. Able to maintain proper Time Management, Productivity and Organization. Attention to detail and able to meet deadlines in a timely manner.